Ashton Carter is a well-known academic whose resume includes receiving a PhD in theoretical physics from Oxford University and working in a variety of posts in the U.S. Defense Department. 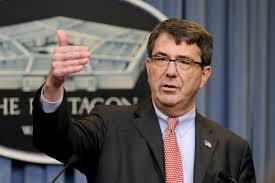 In December 2014, Carter was nominated by President Obama to replace outgoing Pentagon chief Chuck Hagel. During his Senate confirmation hearings, reported the Washington Post, Carter gave “every indication that he would be a hard-liner at the Pentagon and a strong counterweight to administration doves.” He was confirmed on February 12, 2015. During his brief Senate confirmation hearings in early 2015, Carter struck a hardline stance on many foreign policy issues. He told the Senate Armed Services Committee that he was inclined to provide “defensive arms” to Ukraine and that he would “absolutely” resist pressure to hasten the closure of Guantanamo Bay. He also said he would push for halting the withdrawal of U.S. troops from Afghanistan if the situation there deteriorated and claimed that Iran was equally as threatening as the Islamic State (or ISIS). “We all look forward to having you as our partner,” Sen. John McCain (R-AZ) said during the confirmation hearing. In February 2015, Carter travelled to Afghanistan for his first overseas trip as secretary of defense. During the visit, he announced that the United States would consider slowing its withdrawal of troops and keeping more troops in the country than previously planned. From August 2011 to December 2013, Carter served as deputy secretary of defense, managing the day-to-day operations of the Pentagon, making adjustments for potential budget cuts, and gradually shifting U.S. defense planning from the Middle East to East Asia and the Pacific. In this role, Carter became known as the “Obama administration’s point man for improving defense ties with India.” He was viewed as having a defining role in what became known as the “Defense Trade and Technology initiative” (DTI) between India and the United States, which lead to sharp increases in bilateral trade in weapons and military technology between the two countries. “Sequestration resulted in part from the inefficient and unsound choices the Pentagon has made over the past decade, much of it occurring on Carter’s own watch,” Korb added. In the same article, Carter stressed the need to prevent non-state actors from acquiring “weapons of mass destruction,” arguing that the decision to invade Iraq was a distraction from more important goals. In 2008, Carter was one of several future Obama appointees who served on a Michael Makovsky -led team that approved a controversial report on Iran published by the Bipartisan Policy Center (BPC). A lead drafter of the report—titled “Meeting the Challenge: U.S. Policy Toward Iranian Nuclear Development”—was American Enterprise Institute fellow Michael Rubin , an outspoken proponent of militarist U.S. policies in the Middle East. Other participants included Henry Sokolski ; WINEP scholar and Obama adviser Dennis Ross ; Stephen Rademaker, the husband of AEI’s Danielle Pletka who worked under John Bolton in the State Department; and Kenneth Weinstein, CEO of the Hudson Institute . The report argued that despite Iran’s assurances to the contrary, its nuclear program aims to develop nuclear weapons and is thus a threat to “U.S. and global security, regional stability, and the international nonproliferation regime,” a conclusion that contrasted sharply with the CIA’s November 2007 National Intelligence Estimate, which found that Iran had put its efforts to develop nuclear warheads on hold. Carter’s aggressive counterproliferation views have received praise from some conservatives, including Mario Loyola, who lauded Carter in a 2012 National Review article for “not[ing] that limited military force could be integral to a diplomatic strategy” with respect to Iran. On the other hand, Carter has expressed skepticism about the value of a direct military strike, either by Israel or the United States, on Iran’s nuclear installations. In his contribution to a 2009 Center for a New American Security report titled Iran: Assessing U.S. Strategic Options, Carter wrote that a direct U.S. attack on Iran’s Natanz faculty would likely have little long-term impact on the country’s alleged bomb program. Carter’s track record includes having served on a number of government advisory boards, including the Defense Policy Board, the Defense Science Board, and the secretary of state’s International Security Advisory Board, among others. In between his government appointments, he has served as the chairman of the Harvard Kennedy School’s global affairs faculty and as co-chair of its Preventative Defense Project. Carter also has extensive experience in the corporate world, having served as a senior partner at Global Technology Partners, a member of the board of trustees for the MITRE Corporation, and an adviser to Goldman Sachs. He also serves on the Advisory Boards of MIT’s Lincoln Laboratories and the Draper Laboratory. Dana Milbank, “Ashton Carter likely to break hawks’ hearts,” The Washington Post, February 4, 2015,http://www.washingtonpost.com/opinions/dana-milbank-ashton-carter-will-likely-break-hawks-hearts/2015/02/04/21b5da52-acaf-11e4-9c91-e9d2f9fde644_story.html. Craig Whitlock, “Senate confirms Ashton B. Carter as secretary of defense,” The Washington Post, February 12, 2015,http://www.washingtonpost.com/world/national-security/senate-confirms-ashton-b-carter-as-secretary-of-defense/2015/02/12/ca428340-b2e1-11e4-886b-c22184f27c35_story.html. Rebecca Shimoni Stoil, “Pentagon front-runner Carter, quietly supportive of Israel, loud on stopping Iran,” Times of Israel, December 4, 2014, http://www.timesofisrael.com/pentagon-frontrunner-carter-quietly-supportive-of-israel-loud-on-stopping-iran/. Dana Milibank, “Ashton Carter likely to break hawks’ hearts,” The Washington Post, February 4, 2015,http://www.washingtonpost.com/opinions/dana-milbank-ashton-carter-will-likely-break-hawks-hearts/2015/02/04/21b5da52-acaf-11e4-9c91-e9d2f9fde644_story.html. Dion Nissenbaum, “U.S. Defense Nominee Leans Toward Arms for Ukraine Fight,” The Wall Street Journal, February 4, 2015,http://www.wsj.com/articles/islamic-state-iran-must-be-confronted-u-s-defense-chief-nominee-says-1423066977. Eric Bradner, “5 Questions for Ash Carter’s confirmation hearing,” CNN, February 4, 2015,http://www.cnn.com/2015/02/04/politics/ash-carter-confirmation-hearing/. Dana Milbank, “Ashton Carter Likely to Break Hawks’ hearts,” Washington Post, February 4, 2015,http://www.washingtonpost.com/opinions/dana-milbank-ashton-carter-will-likely-break-hawks-hearts/2015/02/04/21b5da52-acaf-11e4-9c91-e9d2f9fde644_story.html. Robert Burns, “Pentagon Chief, US Considering slowing exit from Afghanistan,” Associated Press, February 21, 2015,http://hosted2.ap.org/APDEFAULT/89ae8247abe8493fae24405546e9a1aa/Article_2015-02-21-AS--United%20States-Afghanistan/id-56c8d79ec7154f27bc755a986fedc7c8. The New Republic, “Washington’s Most Powerful, Least Famous People,” October 12, 2011,http://www.tnr.com/article/politics/96131/washingtons-most-powerful-least-famous-people?passthru=ZTM3Y2VhYmZjNmIzMjllNzQ3MjMxOGEzMmJlZjg1NzI#. Washington Post, “Ashton Carter,” http://www.washingtonpost.com/politics/ashton-carter/gIQA2Xkz9O_topic.html. Bryan Bender, “Cabinet nod could be next for Harvard’s Ashton Carter,” Boston Globe, December 27, 2012,http://www.bostonglobe.com/news/politics/2012/12/27/ashton-carter-leave-from-harvard-may-staying/XnWEpcW2Vs6Cnooe2k4l2K/story.html. Karl Inderfurth, “Defense Cooperation: U.S. India Centerpiece,” Center for Strategic and International Studies, November 2013,http://csis.org/files/publication/131108_WadhwaniChair_USIndiaInsight_Final.pdf. Ashton Carter, “Manage Defense Spending Through ‘Better Buying Power,’ Not Sequestration,” Defense One, November 13, 2013, http://www.defenseone.com/ideas/2013/11/carter-manage-defense-spending-through-better-buying-power-not-sequestration/73739/. Lawrence Korb, “How Ash Carter Oversold DOD’s Savings Record and His Role,” Defense One, Novermber 26, 2013,http://www.defenseone.com/management/2013/11/how-ash-carter-oversold-dods-savings-record-and-his-role/74546/. Ashton Carter and William Perry, “Plan B for Iran: What If Nuclear Diplomacy Fails?” Carnegie Endowment, May 2006,http://www.carnegieendowment.org/static/npp/reports/carter_9-19-06.pdf. , “Mr. President, Tear Down This Wall,” TomDispatch, December 6, 2012,http://www.tomdispatch.com/post/175625/tomgram%3A_pepe_escobar%2C_obama_in_tehran/. Mario Loyola, “Raising Ayatollahs,” National Review, July 31, 2012, http://www.nationalreview.com/articles/312785/raising-ayatollahs-mario-loyola. 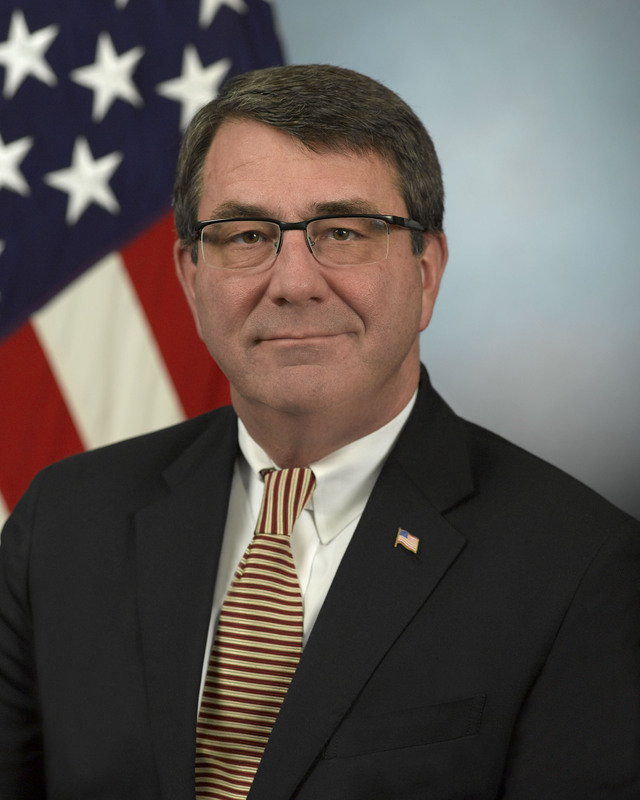 Department of Defense, Ashton Carter bio, http://www.defense.gov/bios/biographydetail.aspx?biographyid=186.